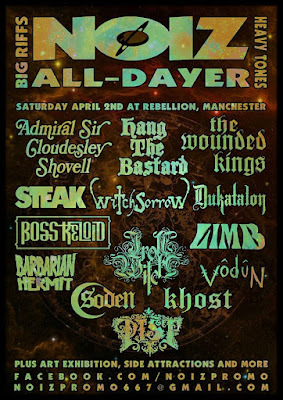 Boasting one of the best heavy metal bills in Manchester in a long time, NOIZ promotions’ NOIZ All Dayer in Manchester seemed almost untrue with the amount of talent on show. Drone duo, Khost, opened up the day with a massively heavy amount of tone and drone for the small crowd. It was only 12.30 when they took the stage so people were still filing in through the doors, although there were a couple of people who had made the effort to see Khost based on their attire. From here on in, the bill changed shape with bands moving up and down the bill continually. Presumably this was due to people arriving/being delayed etc. One band that did take the stage at their scheduled time was PIST. Now, for those who haven’t heard PIST, the clue is in the name. 1pm was a remarkably early time for the Bury quartet to hit the stage, however their groove laden angsty southern sludge did more than wake the gathered masses, and blow any Friday night cobwebs away. As the afternoon progressed, Fvnerals and Dystopian Future Movies (both late additions to the bill due to cancelled gigs in the area) serenaded the crowd with dark post rock and doom laden riffs that slowed the pace somewhat during the afternoon. The slower pace did nothing to dampen the enthusiasm of the crowd. 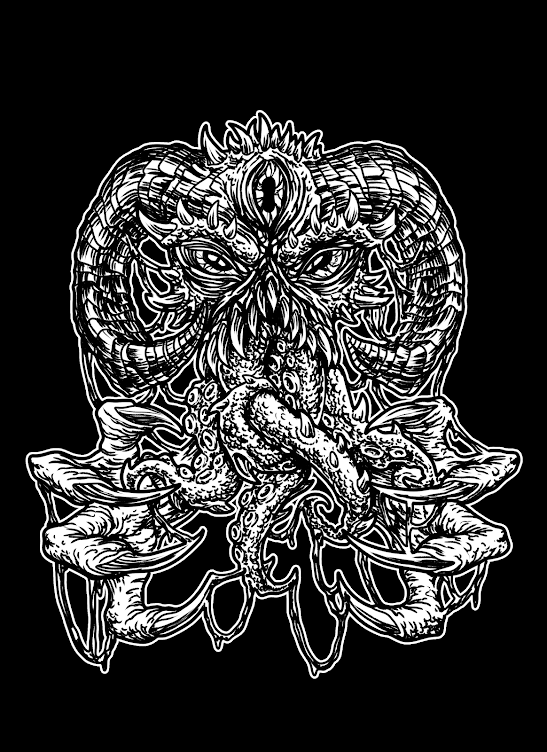 Both bands have been touring together; if you’re a fan of Neurosis, Bossk, Long Distance Calling (or bands to that effect), give them a whirl. Either side of Fvnerals and DFM, there were arguably some of the star turns of the day. Another local band who are making plenty of waves in the metal world, Boss Keloid, were in celebratory mood with a storming set which showed how much the band have evolved. They are much tighter as a band, and the material from their new LP ‘Herb Your Enthusiasm,’ sounded incredibly strong. To bring the pace down again slightly, were Witchsorrow. Although they’re a doom band, their latest LP, ‘No Light, Only Fire,’ has plenty of more up tempo selections. A mix of these tracks and cuts from “God Curse Us” helped them deliver a great set. Towards the top of the bill was heavy rock trio The Admiral Sir Cloudesley Shovell, who did not disappoint. Complete no frills rock and roll just the way it should be. Steak ably assisted with their fuzzy stoner rock keeping the pace up as the crowd got steadily more lubricated. One of the absolute star turns of the day however, took place early in the afternoon. London’s Vodun turned many heads in Rebellion. The trio, who have just released their debut LP “Possession”, took to the stage in their ‘tribal’ attire and delivered a scintillating performance. Chantal Brown’s vocals can easily draw comparisons with Skunk Anansie’s Skin, and the riffs swerve from thrash, to stoner, to doom. Over the course of their short set, Vodun proved why they are getting many great reviews of “Possession”. Another afternoon success came in the form of their tour mates, Limb. Showcasing some prime cuts from 2015’s “Terminal”, the band delivered a stomping set against a hazy white light back drop; foggy and fuzzy on many levels! “Down By The Banks” is a monster of a track; Limb deserve to be edging themselves up bills. They have the songs and presence to be huge. The day ended with Israeli sludge mob Dukatalon playing host to a fully liquored audience. Their stomping set ended with a huge stage invasion capping off an excellent day of heavy metal. The amount of bands on the bill only scratches the surface of the amount of great bands out there. 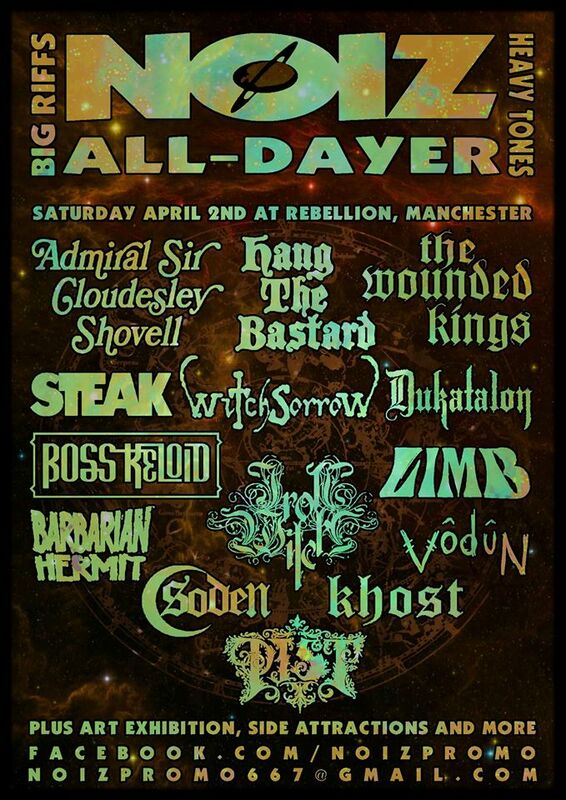 NOIZ are behind many of Manchester’s all day metal events – if you are even the slightest it curious, go along and check out some of the bands; it’s almost a dead cert you’ll find something you enjoy.